Jason was commissioned by the city of Chicago in the Rogers Park neighborhood to complete this mural titled United We Flow. His design was chosen out of over 200 proposals as part of the 49th Ward Underpass Mural Vote. Completed October 2011. Fargo CTA Underpass at Fargo & Ashland, Chicago, IL (Roger’s Park). This mural is painted on an exterior wall that is approximately 80 feet wide by 12 feet high. Jason's idea was to create a hyper-realistic work of art integrating pre-existing structural elements from the environment, causing the viewer to question what is painted and what is real. The wall opens up to a clear, vibrant waterscape, framed out by painted yellow beams that mirror the real yellow beams under the CTA tracks. 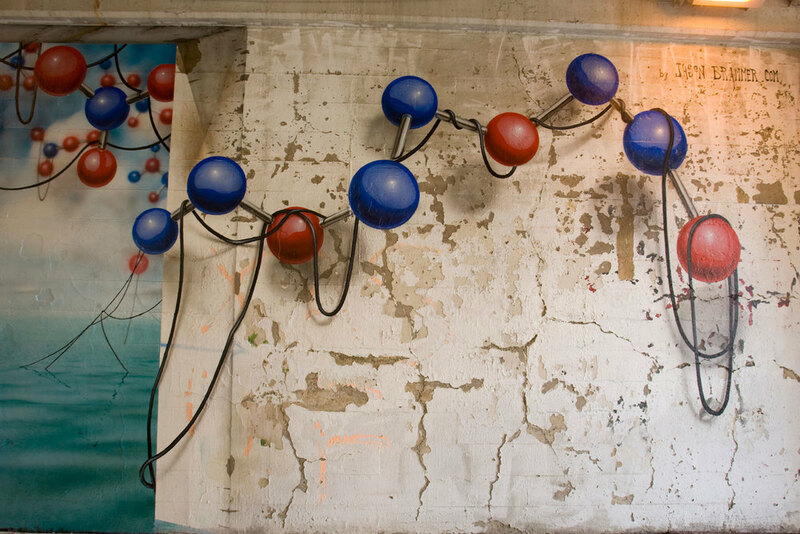 Beyond the horizon, networks of shiny, colorful molecules float over the water and flow into “real” space, hovering against the distressed, gnarled wall of the underpass. 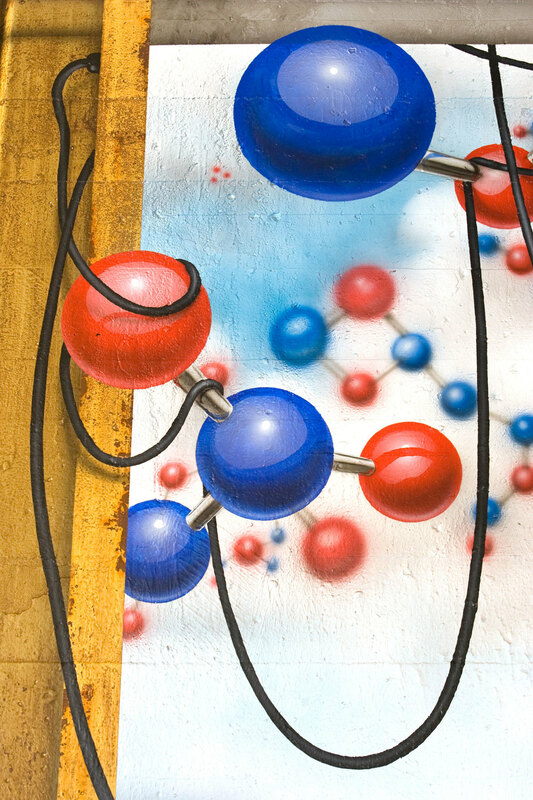 The oversized molecules and cords in the foreground cast airbrushed shadows to give a sense of photo-realism. Jason discusses the concept for his mural. Video by North Southern Films.